You did not read the post wrong. Recently I was accepted to review Verizon Phones. How does it work? I receive a fully activated phone for a week and I test out new apps and features on the new phone, as well as the durability and the overall performance itself. Then I return it and give my honest opinions of it. So here I am with the LG Lucid 4G. The Lg Lucid is .45-inches thick and weighing 5 ounces. Its heavy but the design of the phone outweighs that completely! The system for the Lucid is Android™ 2.3 Platform (Gingerbread). 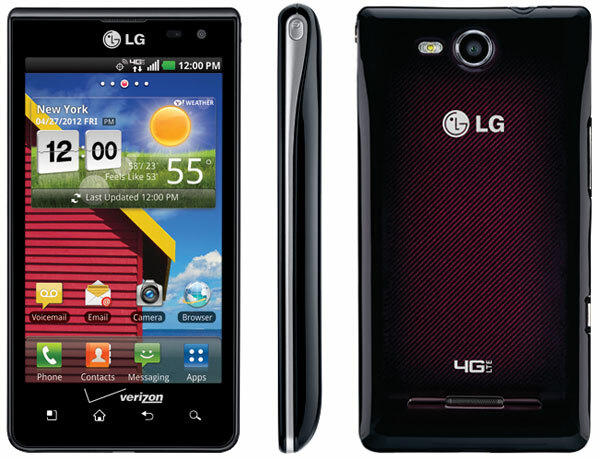 Below are some my favorite features that I liked within the LG Lucid 4G. Big Screen-Large 4.0" IPS Touch Screen Display- The screen is a lot bigger than my iPhone. After using the Lg Lucid, I honestly had to get used to it all over again because this screen is so much bigger. This made it so easy to play with apps and get on Facebook. 4-inch 480 x 800 resolution nova display that is readable in bright sunlight - This is a complete plus because it is so bright here in Middle Tennessee. Being able to see my screen during a bright sunny day is great for me! Tap the side of the phone instead; also turn it upside down to stop the incoming ring.- This is a great feature when you forget to turn the phone off when you are at an appointment. 350 minutes of talk time on the battery/lower battery drain- I can honestly say that the week that I had the phone, I used it a lot. My husband used it too. Those nights in bed playing games late rocked! I was too sleepy to get up and plug in the phone and to my amazement the phone would still be "alive" the next morning. Camera captures 1080p video – The camera on this phone completely rocks. The pictures are perfect and the auto focus is awesome too! I was not really a fan of the flash though. It honestly made the pictures too bright. 1.2Ghz dual core processor – The others have 1Ghz- This phone is fast. I mean really really fast. My iPhone does not load as fast as the LG Lucid does honestly. Overall, I loved the phone. I don't know who loved it more though, me or my husband! I completely recommend this phone to anyone that would love to have an Android. If you have an iPhone, give this phone a chance, test it out and see how you like it. Yes, the Android is different than the iPhone but if you want a change try it! Stay tuned because you will see more reviews from me in the near future. 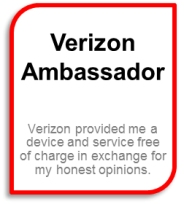 I am a member of the Verizon Wireless Ambassador program. I receive complimentary services and technology provided by Verizon in return for my honest opinions. this phone looks similar to the phone that my husband has. cool one. My husband dropped his phone another day and the screen is crazy now.. I'll keep this one in mind when we start shopping for a new phone! wow! i'm jealous! i'm an iphone gal, but one of my daughter's loves android. looks nice. Great review and a really nice phone! I will have to tell my friend about it, she has Verizon! I want that phone! How nice to be able to use it. It have many nice features; I love the speed. 350 minutes of talk time on one charge is awesome. Looks like a great phone. What a cool looking phone. Great Review! Will be spreading the word!! I love the look of the phone. Love to large screen too! We have been thinking about switching to Verizon for a while now...we just aren't getting the coverage we want...and let's face it, they have way better phones! seems to be a nice phone! We have now another iPhone killer!